Time to spot multibaggers in logistics sector? The stocks in infrastructure sector have got a huge leap of increment in positive returns up to 200 percent. Where the top positive charts is Arshiya which gained 220 percent in the year 2017 where Transport Corporation attained 92 percent, also Balurghat Technologies with 68 percent in the year of 2017. India is in the booming satge in logistics insdutry where the logistics and transport sector was in the limelight due to the implementation of goods & service tax (GST) whereas some gains soon after the implementation made them as gold diggers for the investors especially after infrastructure status was handed over to logistics sector. The infrastructure status covered with cold chain and warehousing facilities was handed from government on last week. Even though the status was given for logistics sector government has been working on many ways to attract the investments into logistics and transport sector for the infrastructure development in our country, which helped in the maximum positive return of upto 200 percent. The decision and implementation done by government in the case of logistics and supply chain management helped to boost infrastructure which increased the economic growth, which allow the companies in this sector to to access cheaper credit. “With the Logistics sector being accorded with infrastructure status, cheaper credit will now be made available from banks. This, in turn, will help drive the expansion plans, thereby easing the supply chain bottlenecks that are currently plaguing the sector,” Nitasha Shankar, Sr. Vice President and Head of Research, YES Securities told Money control. The factors like Road and bridges, ports, shipyards, tunnels, viaducts, inland waterways, airport, railway track, terminal infrastructure including stations and additional commercial infrastructure which are the key parts in logistics and transport. According to survey and experts, funding cost will be coming down which would help companies to push up their capital expenditure plans since the logistics cost was infrastructure status was lowered which was high especially for exports than imports. So this scenario helps the investors to look forward with the logistics and shipping sector with a breakthrough. Siddharth Sedani, Vice President – Equity Advisory said “Logistics costs of exports are very high in India and due to this Indian goods are less competitive in global markets. This status would help the sector get credit at competitive rates and on a long-term basis as rising logistics cost impacts the global competitiveness of exporters” The market share for logistics in GDP is higher in many other countries like US & Canada have 9 percent and 8 percent respectively. So by reducing the cost of logistics by at least 200 bps and making Indian goods competitive in national as well as international exports market. Posted by Reliant on Saturday, November 25th, 2017 at 10:49 am and is filed under Blog. Digital innovations is changing the logistics landscape at a faster rate than ever before. The prospects are particularly exciting in logistics. An industry that values process and precision has been ripe for developments such as the utilisation of robotics and proficient use of big data. As the world embraces this change, the logistics industry are seeking to enable their customers as they seek to continuously build and maintain a competitive advantage in their markets. This is will benefits the industry as well as the customers.New technologies will inspire an entrepreneurial culture, that opens a space for start-ups to put forward disruptive ideas with the potential to redefine the way of work. The Organisation, Wincanton has launched W2 Labs, a programme for start-ups to pitch their innovative solutions to supply chain challenges, with an opportunity to reach commercial agreement and see them implemented across the business. Wincanton ideas will be scaled up and used within the business where appropriate, in order to increase efficiency, and pass the benefits on to our customers. Collection of data – Finding the best way to collating, analysing and utilising data from supply chains to improve efficiency across the company. Wildcard – Recognising that logistics is a broad and varied sector, new unprompted ideas to improve our operations are also welcome . We hope that innovative designers can bring our attention to issues that we may have overlooked. Technology can be used to benefit the customers, and ultimately the broader logistics sector.Digital innovations leads to new and exciting opportunities in the industry. Posted by Reliant on Monday, November 13th, 2017 at 6:08 am and is filed under Blog. The advancement in technology for modernization of major ports and reforms for enhancing ease of doing business are driving a sustaining growth trend line at India’s major ports. India’s 12 major ports together handled 273.96 Million Tonnes of cargo between April to August, 2017 as against 265.31 Million Tonnes handled during the corresponding period of previous year, an overall growth of 3.26%. The country’s Seven Ports (Cochin, Kolkata,Chennai,Paradip,New Mangalore, Mumbai and JNPT) registered positive growth in traffic during the period April to August 2017. The highest growth was registered by cochin with 19.9% followed by New Mangalore with 13.26 percent, Paradip with 12.57 percent, Kolkata [incl. Haldia] with 11.45 percent and JNPT with 6.18 percent. The Growth of Cochin port was mainly due to increase in traffic of POL (27.99 percent) and Containers (12.79 percent).The Overall growth in Kolkata port was positive i.e. 11.45 percent. Haldia Dock Complex (HDC) registered positive growth of 19.08 percent, mainly due to increase in iron ore traffic. Kandla Port handled the highest volume of traffic during the period April to August , 2017.i.e. 43.99 million tonnes (16.06 percent share), followed by Paradip with 40.37 million tonnes (14.74 percent share), JNPT with 27.54 million tonnes (10.05 percent share), Mumbai with 25.84 million tonnes (9.43 percent share), and Visakhapatnam with 25.45 Million Tonnes (9.29 percent share).60 percent of Major Port Traffic was handled by these five ports together. At all ports RFID tagging at gates has been implemented. Besides enhancing security,this enables seamless entry-exist of trucks and in-port movement to optimize cargo flow. Entry-exist of trucks as well as drivers’is recorded using RFID card system doing away with paperwork thus reducing human interface. It is one of the steps taken in order to benchmark major ports with globally renowned ports. Posted by Reliant on Monday, October 30th, 2017 at 5:33 am and is filed under Blog. Sultan Ahmed Bin Sulayem, the DP World Group Chairman and CEO has issued an optimistic forecast fot the country’s sector, on the back of rising trade and economic growth in the UAE. He believes that recent growth forecasts for the UAE will bring uplifting prospects for the country’s logistics, warehousing and handling sectors. UAE trade growth is expected to rise by 4.3 percent year in 2017, driven by a 5 percent growth in imports and 3.7 percent growth in exports . The report sees a good economic growth over the next five years for the UAE due to government plans to diversify the economy through the development of trade, tourism and the service sector. This will attract more businesses and job opportunities to the country who will need logistics support. Presently there are 328 logistics companies operating within Jafza (Jebel Ali Free Zone) with trade partners in GCC, India, Africa, West Asia and China broadening the opportunities for logistics companies. The location of Jebel Ali Port and the Free Zone with a range of incentives and mordern warehouses supports the development of logistics and transport sector with companies aiming to reach their target markets in the greater MENA Region. These companies let 4.2 million square meters of mixed-use facilities, having 4.13 million sq m as land; 85,700 sq m of warehouse and light industrial units , and showrooms and offices of 1,600 sq m .
Growing domestic demand ,Economic diversification, and development of export oriented industrial centres and free zones are likely to support both transhipment and regional trade growth. Dubai’s 14 per cent GDP constitutes logistics industry which is highest amoung all emirates. The geographical position and improved infrastructure of dubai facilitate a substantial share of international shipments directed to the UAE. “The studies reveal that these will open up new markets for companies operating in Jafza and Dubai”. Posted by Reliant on Tuesday, September 26th, 2017 at 5:45 am and is filed under Blog. Indian logistics industry will be having higher investments with the passing of industry tax reforms and advancement in technology. Advancement in digital technology will create great opportunities for logistics technology developers,supply chain and logistics transformation team. 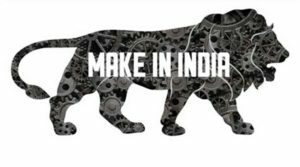 The Government of India’s strong prominence on manufacturing and initiatives such as “Make in India” is boosting domestic production, which is strengthening the logistics industry. Concerted efforts are done by logistics company to keep pace with this growth by digitizing their solutions and offering online freight services. This will provide visibility across the supply chain and transform it to an organized industry. Some of the advanced technologies adopted include automated storage and retrieval systems (ASRS) in warehouse and transportation, radio frequency identification (RFID) in place of bar codes, and global positioning system (GPS) for real-time tracking. Indian Logistics Industry – Growth Insights and Forecast to 2020 is part of the Supply Chain & Logistics Transformation team’s Growth Partnership Subscription. 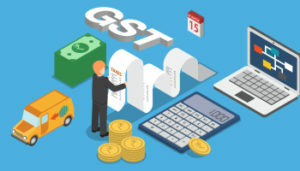 According to the study, investments in infrastructure development across all modes of transportation,implementation of GST,relaxed foreign direct investment regulations, and increased technology adoption are altering the Indian logistics industry. Meanwhile, the increasing inflow of international logistics service providers (LSPs) are prompting third-party logistics (3PLs) and domestic LSPs to expand their focus on transportation service, warehousing and freight forwarding. 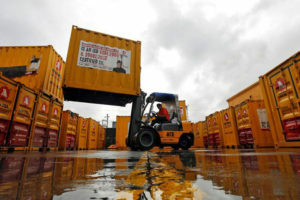 This will open up opportunities for partnerships, and domestic logistics companies will have access to the modern technologies introduced by global service providers.Indian logistics services will greatly benefit from the development of transportation and logistics-related infrastructure, such as dedicated freight corridors, logistics parks, free-trade warehousing zones, port modernization, and container freight stations. Overall, LSPs are leveraging technologies such as Big Data and cloud-based application platforms for better order fulfillment and tracking of shipments. The modernization of logistics infrastructure field and government support will go a long way in advancing the Indian logistics industry. Posted by Reliant on Saturday, September 16th, 2017 at 6:30 am and is filed under Blog.